Today is Village Council Elections in Crooked Tree Village. Please come out and vote. This is the best chance we have to move Crooked Tree Village forward. We have a lot of serious issues in the village and I believe that with this team we can get a new police station and cemetery. Forget about the plate of beans and rice people, we are worthy of much more!! 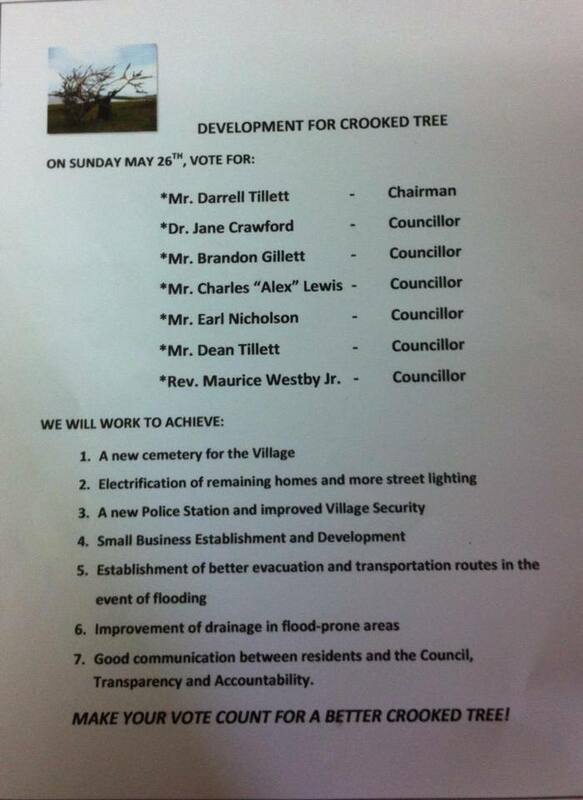 Support the Crooked Tree Slate....Dr. Jane Crawford and team!! !